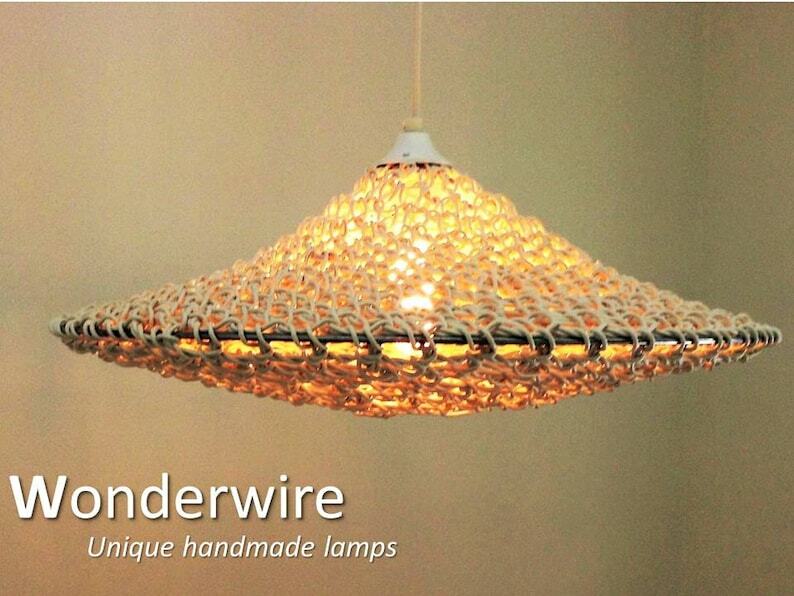 For this eyecatcher pendant lamp I applied a hooking technique and used about 160 meters meters of single electric wire. The name speaks for itself. The light effects are suburb and vary on the bulb you use. With its ‘lower’ heights size this lamp fits in many places. Included is a luxury metal ceiling cup and it can be adjusted in height through a strain relief.